This makes a great mid-week meal. You can change out the butter for oil if you want to make it suitable for vegans, or include bacon if you are serving meat-eaters. 1 Rinse barley in a sieve, transfer to a small saucepan, add the water and bring to a gentle boil. Turn the heat to the lowest setting, cover pan with a lid and cook very gently for 45 minutes. Remove lid and fluff up barley with a fork. Cover pan again, remove from heat and leave for 10 minutes. 2 Shave leaves off centre ribs of cavolo nero and discard ribs. Wash leaves then plunge into a saucepan of gently boiling salted water. Cook for 5 minutes, then drain and refresh with a cup or two of cold water. Drain. When cool, press gently and chop coarsely. 3 Put onion and celery in a large frying pan with 2 tablespoons of butter and cook over a medium heat for about 10 minutes until golden. Stir in smoked paprika. Add cavolo nero and barley and season with plenty of black pepper, a good grating of nutmeg and ½ teaspoon of salt. Toss gently together, then tip mixture into a shallow gratin dish, approximately 1.5 litres (about 3 pint) capacity. 4 Preheat oven to 200°C (400°F). Melt remaining butter. 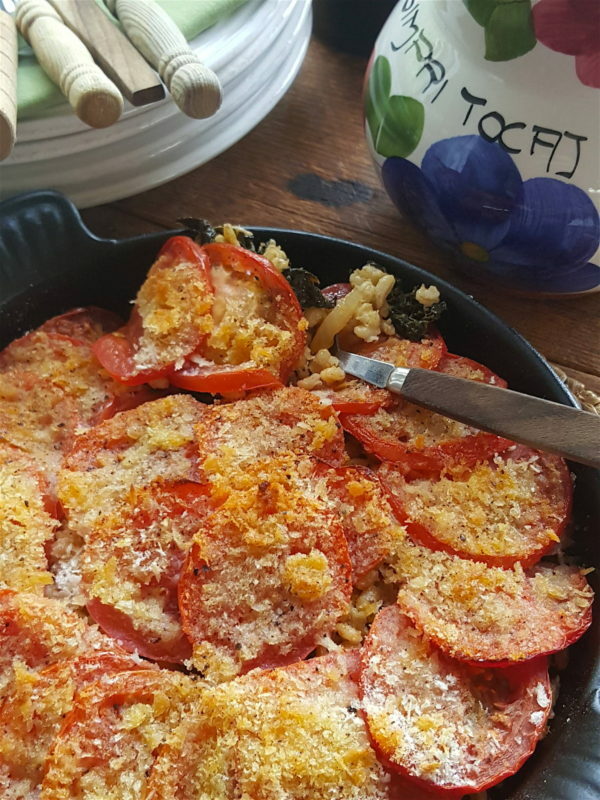 Slice tomatoes thinly and arrange on top (pour in any juices because they will help keep the gratin moist). Season with a little salt and pepper. Sprinkle over panko crumbs and drizzle with melted butter. Bake for 25 minutes, until golden. Serve hot or warmish. If liked, add 125g middle bacon, chopped, to the pan with the onion, and omit the celery and smoked paprika. 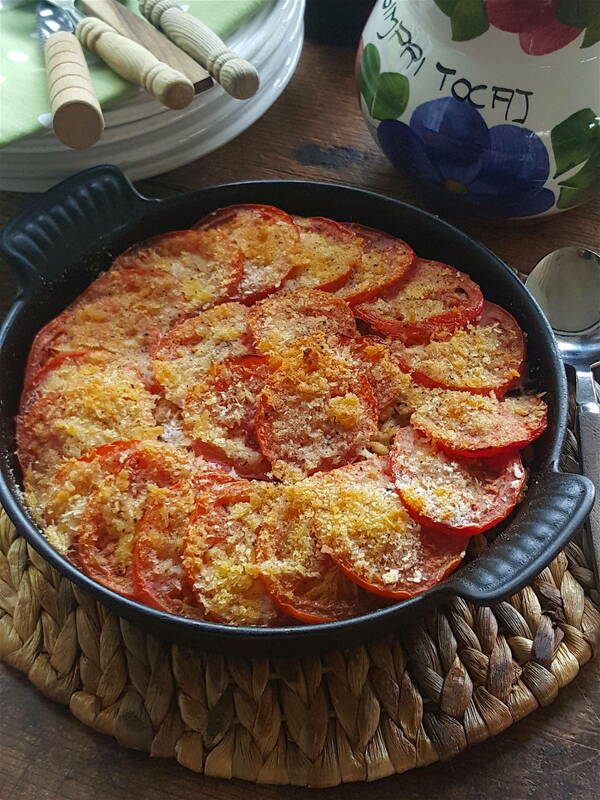 Serve the gratin with a tangy salad, or one with a juicy fruity element like sliced pears. Foglie in padella – wild greens, or whatever you can forage from the garden, or the farmers' market.